While in London I met a Master of Habanos, a designation earned from a grueling written and oral test on all facets of cigar and tobacco production, who profoundly impressed me with his knowledge of all things related to cigars. I have met self-educated connoisseurs that can breakdown the components of a cigar and articulate the nuance of the flavor profiles by region. I have engaged in conversation with master blenders that have shared their knowledge of how cigars are made for power, taste, balance. and complexity. 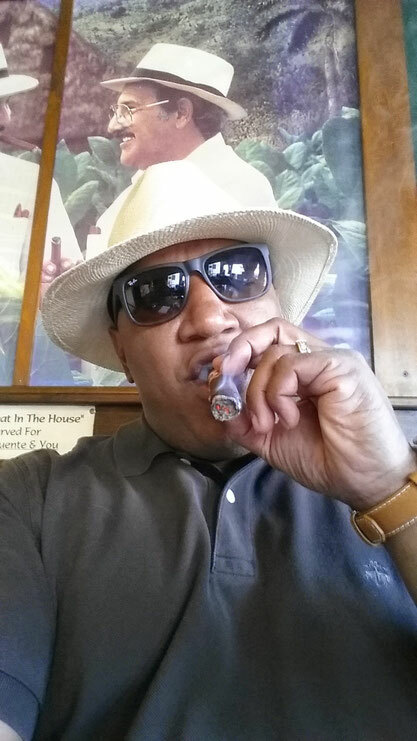 All of these interactions elevated my awareness of the effort that goes into cigar production and the majesty of the cigar smoking experience; however, not all of my experiences with fellow cigar lovers has been pleasant. In fact, sometimes its a major drag (pun intended). Out of kindness and respect for cigar lounge decorum I have endured stupidity on unprecedented levels. For example, I spoke with a gentleman that recommended submerging a new humidor in water for 6 hours before using it to store cigars. I told him that doing so would warp the wood resulting in a humidor that does not close properly and allow too much air in the humidor and dry out the cigars. He responded stating that no humidor is airtight. I agreed. But I interjected that some air is needed but humidity must be maintained at a constant between 68 and 72 degrees which is impossible if there is too much air. Furthermore, I met another brother of the leaf that argued the merits of the flat-Earth school of thought (how could one hold such views in 2017). I immediately responded by stating that there are pictures of our very round Earth taken from the moon. He insisted that scientists faked pictures of Earth from outer space and even suggested that his recent vacation on a cruise ship provided proof due to the flatness of the horizon. It does not stop there. I have met climate change deniers, conspiracy theorists, ghost chasers, and religious fundamentalists of the doctrinaire type. Fortunately, the company and conversation of one enlightened cigar smoker more than compensates for 100 bumbling idiots. But for now I only ask every smoker with the charm of a doorknob to shut up and smoke.